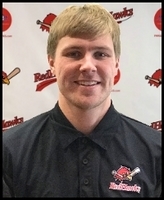 Cole Milberger is the newest addition to the RedHawks full-time staff. He recently competed his BS degree in Sports Management from North Dakota State University. Milberger was also an intern with the RedHawks the past two-years, working in the Food and Beverage department, as well as helping with Community Relations. Milberger resides in Fargo.